Is it a Victorian conservatory? No it’s a tram. Photo IKEA. I am off to Poznan to sink into a comfortable arm chair, enjoy the décor of Victorian floral prints, and travel by tram free of charge. That I can do all three at the same time time is the brilliant PR brainwave of IKEA whose Poznan Franowo store wanted to let the rest of the city know that it is now possible to visit the shop by tram. 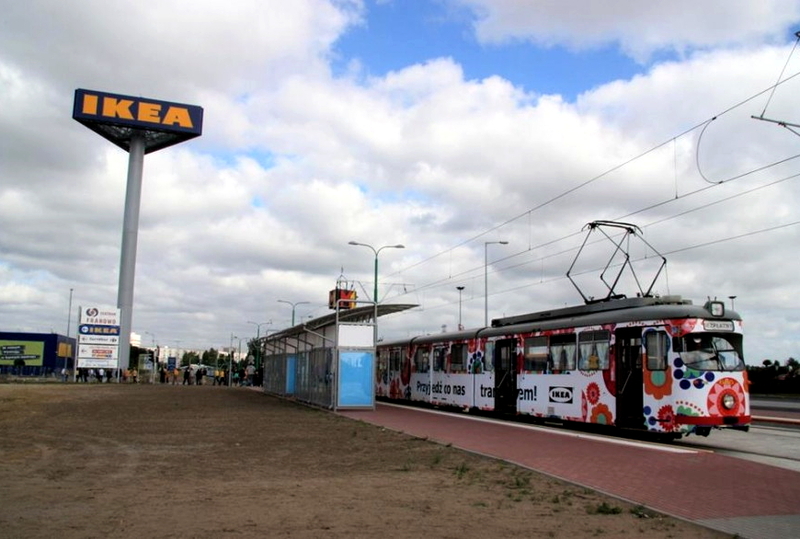 IKEA and Polish trams would not usually be associated together. While enjoying a ‘good design at good value’ market positioning in the West, IKEA stores have a distinctly ‘up-market’ brand image in Poland and other former Soviet satellites in the East. Here the typical IKEA customer drives a large 4×4 with smoked windows and employs a Belarussian cleaner. 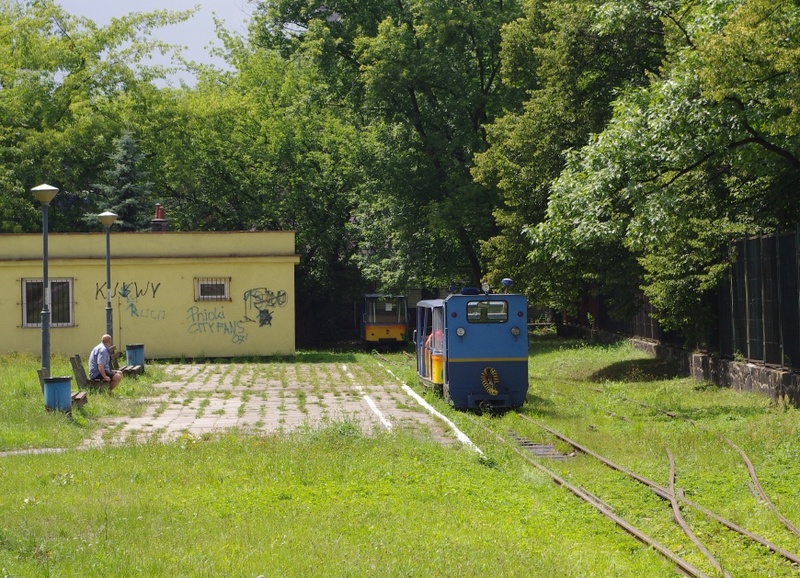 In Poland, trams are not seen as an ‘eco-friendly’ solution to urban transport gridlock, but as a grim communist era hand me down. Consequently they get banned from the centres of Polish cities and cars – not trams – are given priority at traffic lights and road junctions. 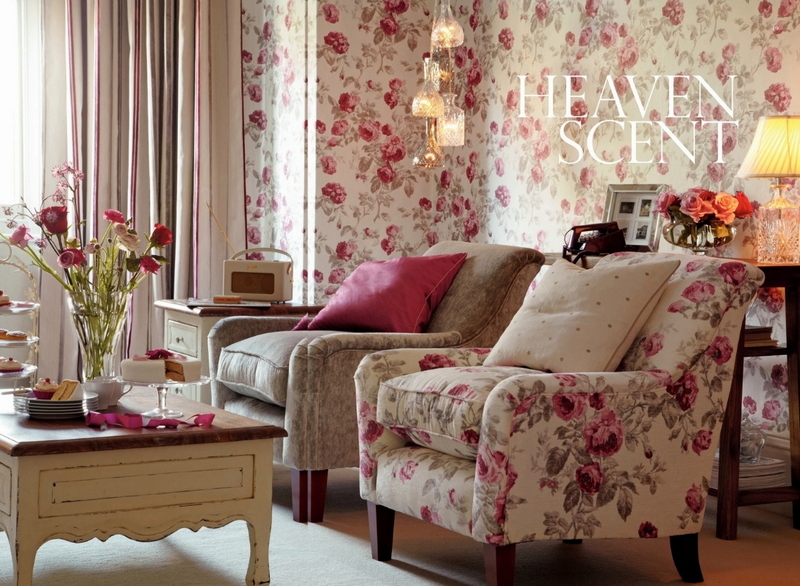 The Victorian floral print style. Photo courtesy Laura Ashley. I must admit that Victorian floral prints give me the goose bumps. I am immediately transported to the 1960s. Hands up those BTWT readers who remember the Cambrian Coast Express steaming past the Laura Ashley factory on the site of Carno Station or the pioneering Laura Ashley store in South Kensington’s Pelham St? What, only one hand? Never mind, what Laura Ashley sells to the classes, IKEA sells to the masses, to paraphrase that amazing consumer electronics entrepreneur, Jack Tramiel. 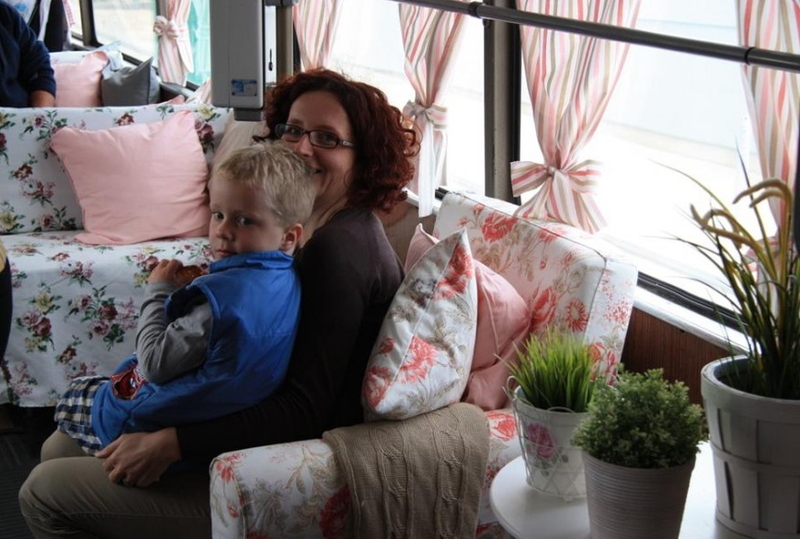 To press home the point that IKEA products are for everybody, not just Poland’s nouveau riche, IKEA struck a deal with MPK, Poznan’s municipal transport company. One articulated tram set has been refitted internally with IKEA furnishings and will operate a free-of-charge service along the new line to Franowo for a fortnight. 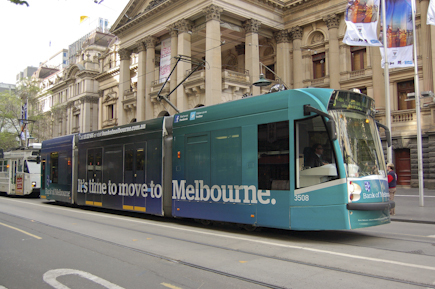 The on- tram ad says Przyjedz do nas tramwajem (Come to us by tram). Photo IKEA. Deservedly, IKEA’s gamble has paid off and the PR stunt has generated a massive amount of free publicity for the company. At the same time the company’s deal with MPK has improved the image of the city’s tram network and publicised the opening of the Franowo extension. A win for both sides. Brilliant! Many thanks to Podroznik for tipping us off about the story. mmpoznan.pl – Dokąd jeździ bimba z firankami? Epoznan.pl – Na Franowo darmowym tramwajem z… poduszkami i firankami! 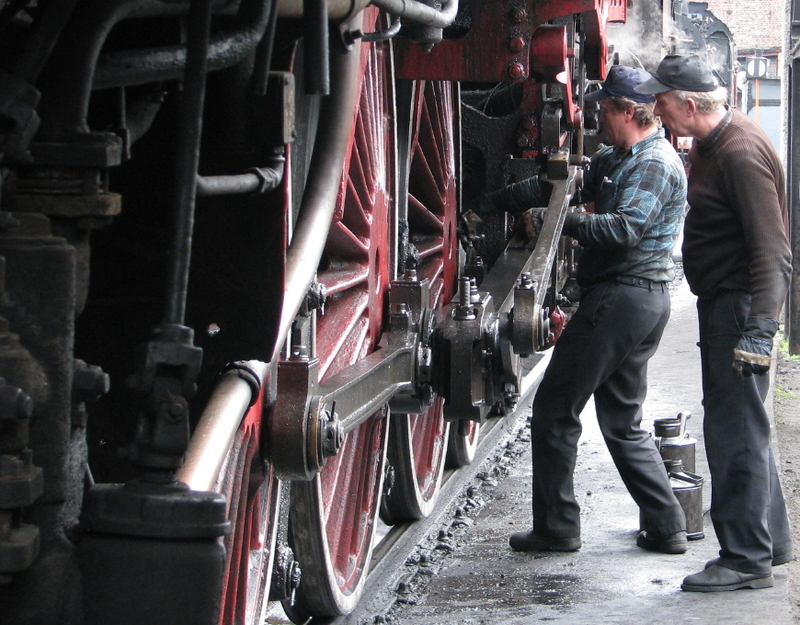 Ol49-80 – Conservator to ‘list’ loco. Ol49-80 at Elk. Photo Roman Miotke. While the future of Ol49-80 is still far from secure, an important victory has been achieved. 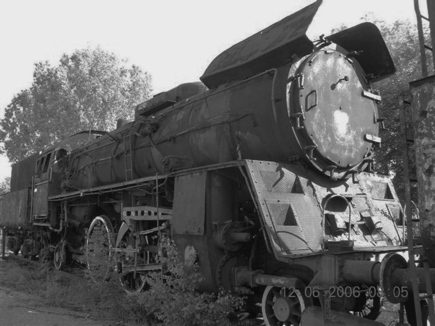 Congratulations are due to Robert who initiated a massive campaign to save the loco and also to Piotr Lewandowski of Fundacja Thesaurus in Poznan who provided legal support. Photo Michal Pilaszkiewicz, Muzeum Techniki i Komunikacji. There are not many cities in Europe that posses a transport museum, with all the exhibits stored under cover in an expertly restored building, in which a perfect balance has been struck between the new function of the building and the preservation of its historic character and context. Yet this praiseworthy facility is located, not in some prosperous city in Western Europe, but in Szczecin located in the very ‘top left hand corner’ of Poland. 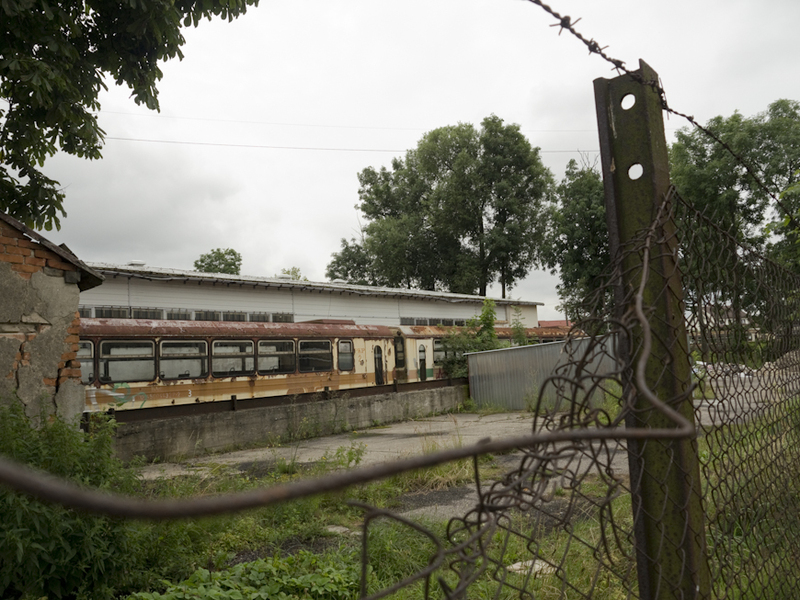 Szczecin itself has had the heart of its local economy ripped out when its main shipyard, Stocznia Szczecinska, closed in stages during the last decade. In the 1960s, the shipyard employed some 30,000 people, and almost every family in the town had someone who was either employed by the yard or worked for one of its suppliers. During the Solidarity era, the shipyard became one of the bulwarks of the trade union. After the collapse of communism, the shipyard was privatised, its workforce reduced to 11,000 and its activities concentrated on large bulk carriers. In 1991, Krzystof Piotrkowski took over as CEO of the shipyard. He was hailed as an economic guru for rescuing it from verge of bankruptcy, restoring its credibility with customers and making the it profitable. The yard was featured as a ‘case study‘ example of transformation best practice by the influential Harvard Business Review. 10 years later, in spite of overflowing order books (the yard was building 17 ships, but only had working funds for 11) the state banks refused to extend the shipyard’s credit line, and in March 2002 production halted. The SLD-led post-communist government demanded that the shipyard’s board members hand over their shares to the state before any financial help in the form of credit guarantees or loans could be forthcoming. When they refused, the Minister for Trade began planning to re-nationalise the shipyard after first allowing it to go bankrupt. When it seemed possible that a further downsizing and a new credit line might after all allow the shipyard to continue – in a move that eerily presaged the arrest of Yukos boss, Mikhail Khodorkovsky – the board members were arrested on the orders of the Minister of the Interior. The shipyard was declared bankrupt and its assets were seized by the government. It seems that Poland’s economic transformation had outstripped the business ethics of its government. 6 years later all the arrested board members were declared innocent, but by then it was too late for the yard. The state-owned Nowa Stocznia Szczecinska made huge losses and ate up government funds some 20 times greater than the size of the loan guarantees originally requested by Piotrkowski. There were several abortive attempts to find private buyers. In the end, all these efforts collapsed, and the yard is now in the final stages of liquidation. Museum exterior. Photo by Kerim44. Gradually Szczecin is reinventing itself. While three smaller shipyards specialising in building smaller vessels for profitable niche markets still keep the ship-building tradition alive, the construction of giant bulk carriers in the main yard has ceased for ever. Jobs in new industries such as IT and call-centres are replacing those in traditional metal-bashing. Unemployment remain a serious problem, in April 2012, some 18,600 people were out of work giving the city an unemployment rate of 10.7%. Given the city’s recent history and its economic difficulties it is remarkable that the City Council has created one of the best city transport museum’s in Poland. The site of the museum is a former tram depot, opened in 1912 and built according to the design of two Berlin architects Griesbach and Steinmetz. 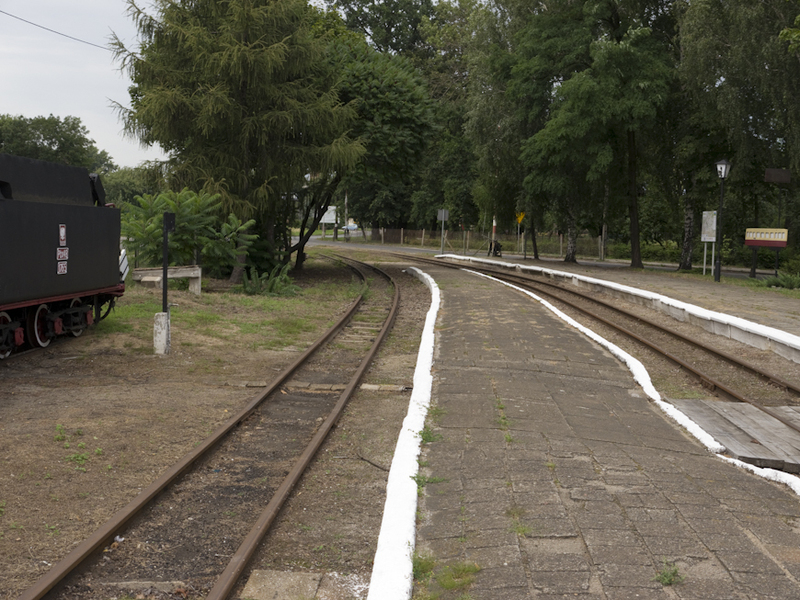 The original depot consisted of 9 roads. 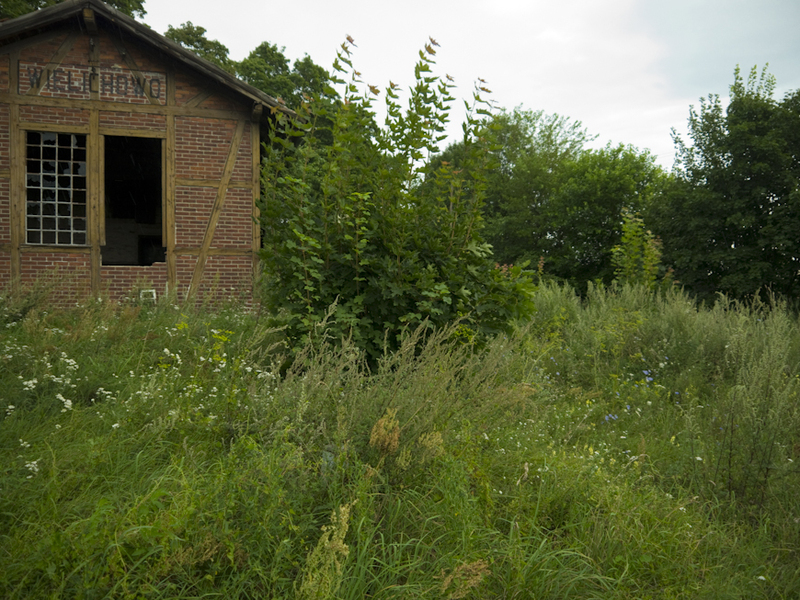 In 1927, a smaller 5 road shed was built onto the east side of the original building and a two road workshop on the west. 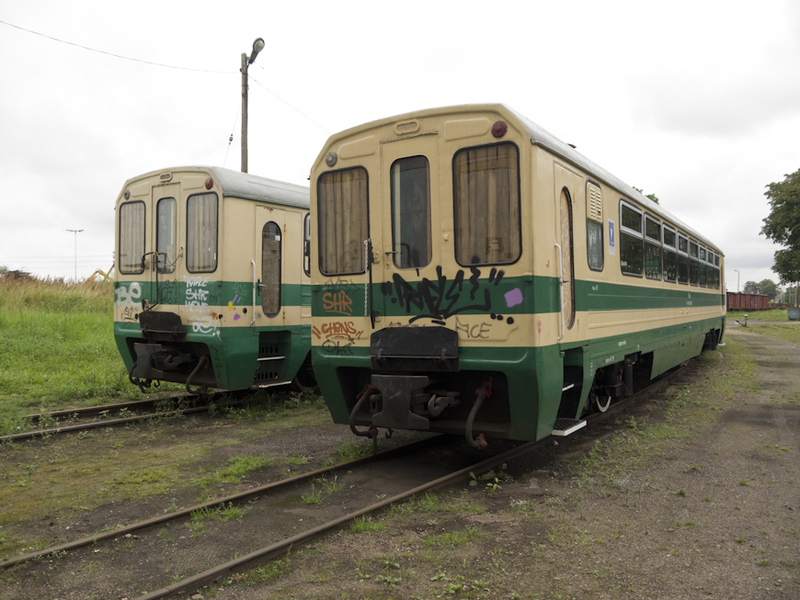 Following the depot’s closure, the Szczecinskie Towarzystwo Milosnikow Komunikacji Miejskiej (Szczecin Urban Transport Enthusiasts Society) gained access to the building in October 2004. 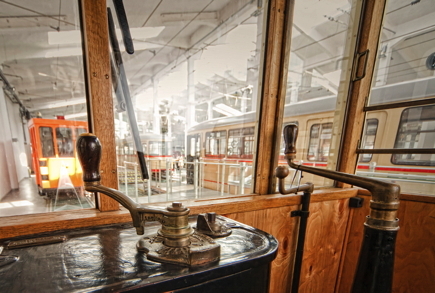 They acquired a number of historic tramcars and commenced restoration work. 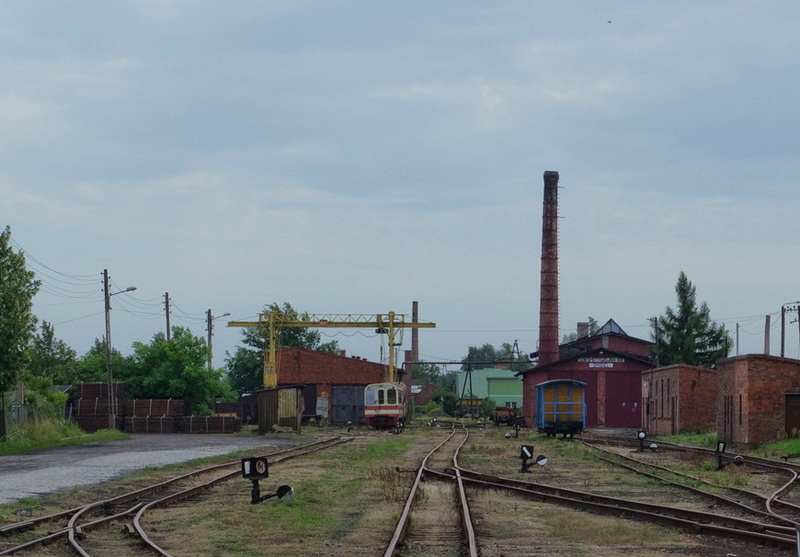 In November 2005, the City Council decided formally to create the Muzeum Techniki i Komunikacji – Zajezdnia Sztuki (Museum of Technology and Transport) in the depot. 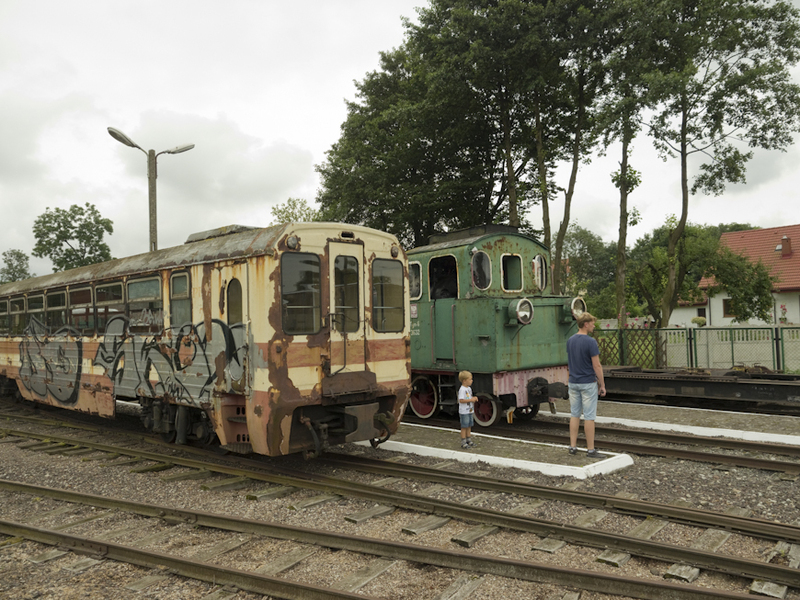 The project received funding support in the form of a Norway Grant and an European Economic Area Grant to a total of 2.3 million euro, the remainder of the 13 million euro cost of rebuilding the tram depot and equipping the museum came from the city council’s own funds. 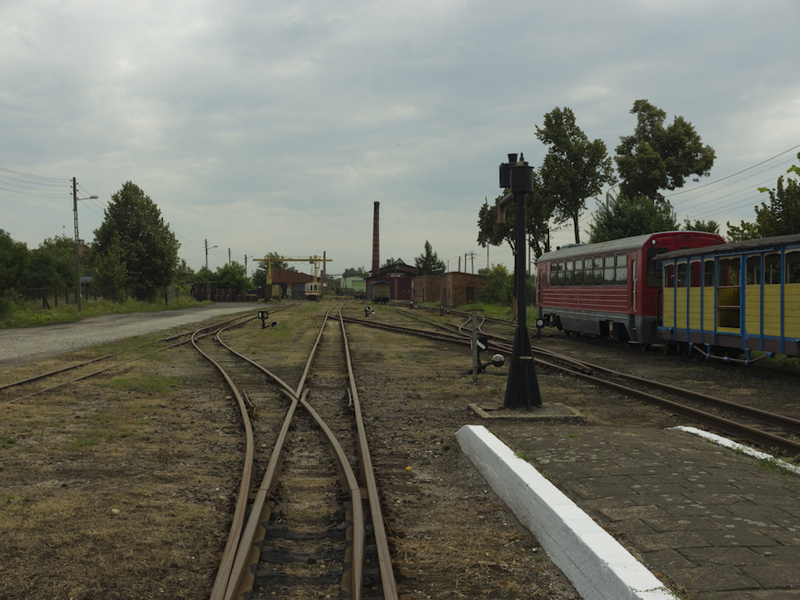 The tracks and overhead wiring have been preserved in the yard area with a carefully restored cobble stone pavement. Also retained inside the main hall are the tracks, inspection pits and an under-floor wheel lathe; the pits being glazed over for safety with architectural glass. There are 6 permanent exhibitions. The largest exhibits – 7 trams and 3 buses – comprise the History of Szczecin Public Transport exhibition. Several motorcycles built in pre-war Szczecin make up the Szczecin Motor Transport 1919-1945 exhibition; a further group of motorcycles and two prototype ‘Smyk’ mini cars, all built in Szczecin motorcycle factory form the Szczecin Motor Transport 1954-1967 exhibition. Two other permanent exhibitions are dedicated to Polish communist era motor cars and motorcycles, while the third focuses on pre-war motorcycles. Most of the motor vehicle exhibits come from the private collection of Leszek Liszewski, which the city authorities purchased in 2007 for 1.5 million zloty (about £300,000). The museum excels in many ways and a visit is highly recommended. 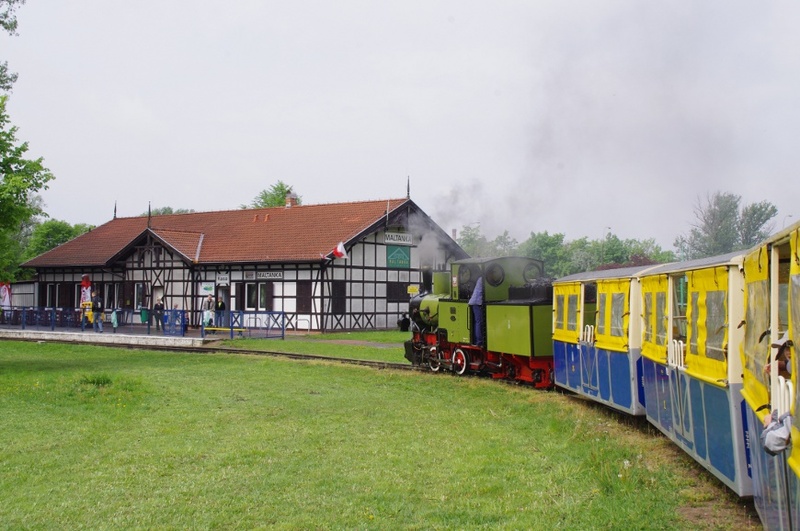 Particularly impressive is the fact that, although the museum is today a shining example of European best practice, it has not forgotten its modest beginnings in the work of the Szczecin Urban Transport Enthusiasts Society and that, even today, there is still a role to be played by volunteers. 4N1 293 4-wheeler driving car built in 1962. 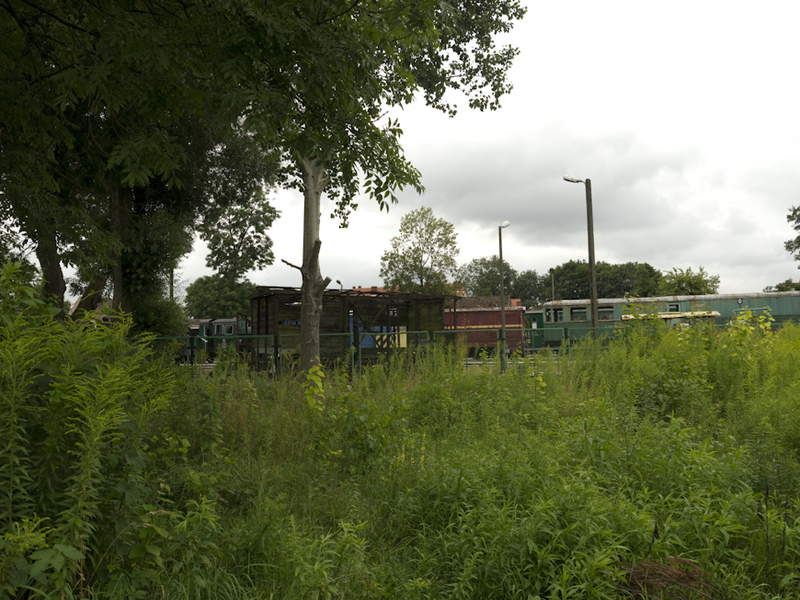 The museum is not the only place in Szczecin where one may encounter vintage trams. On Sundays in July and August ZDiTM, the Szczecin Road and Transport Management Company, runs a tourist vintage tram service around the centre of the city. Sadly it is no longer possible to ride in the 1926 Bremen 4-wheeler, which now has pride of place in the new museum, and only ran the service in 2001. 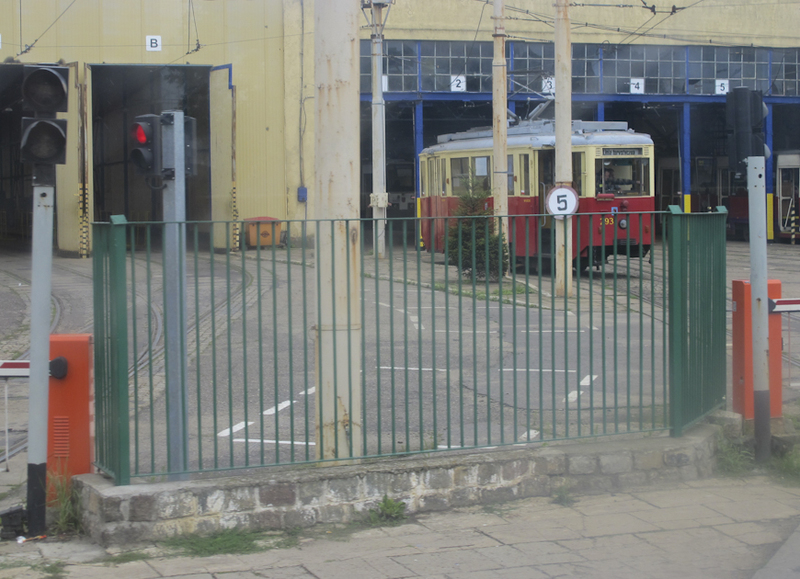 These days the tourist service trams are somewhat more modern such as this 1962 4N1 caught at the Golecin tram depot through the window of a another tram. Wielichowo, 6.8.2012. Spot the railway track! Smigiel looking towards Wielichowo, 6.8.12. Smigiel looking towards Stare Bojanowo, 6.8.12. Same photo as above zoomed in on the works. Former block post in foreground. The former snack bar is now a police station. 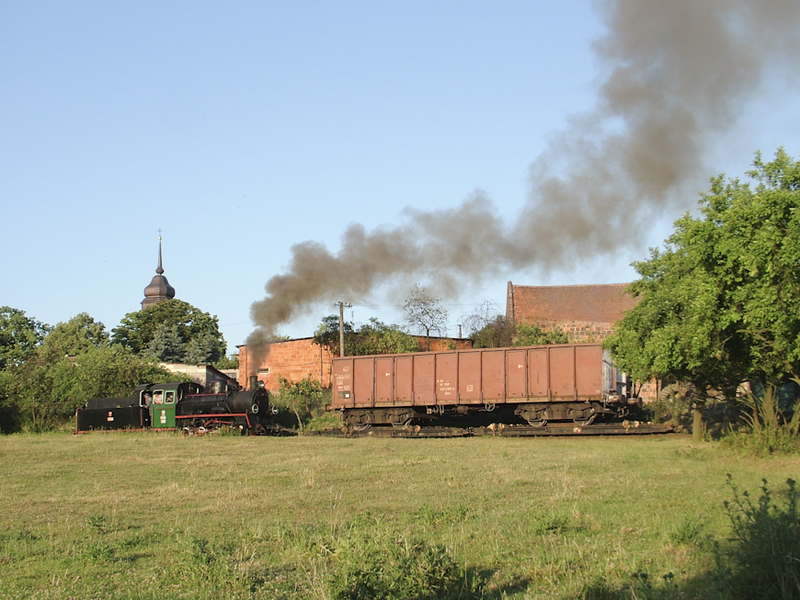 Smigiel Railway in its SKPL days – a steam train chartered by the Wolsztyn Experience. Photo Marek Ciesielski. Ol49-69 at Wolsztyn on 6.8.2012. Photo BTWT. 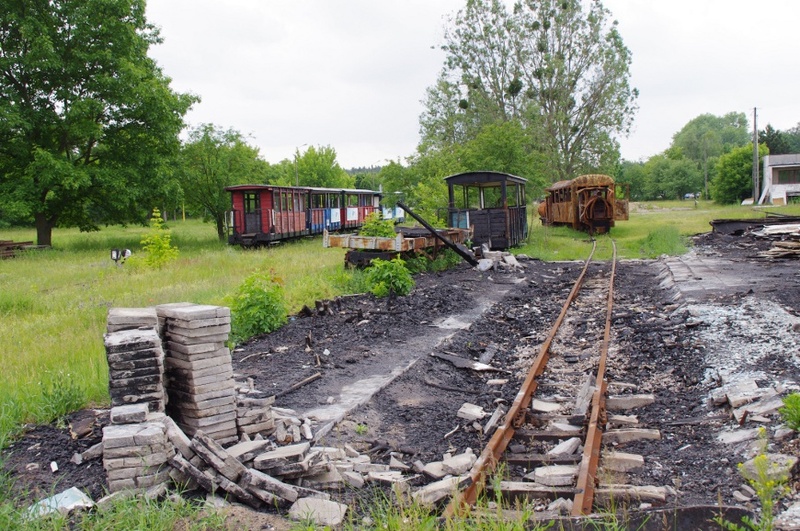 The Sroda Narrow Gauge railway is fighting for its life. 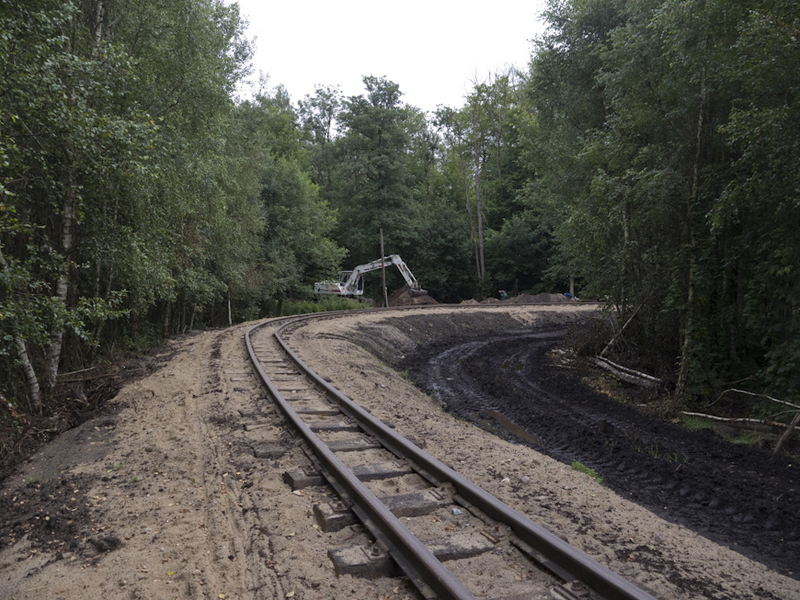 Both the Mayor of Sroda Wielkopolska (where the line starts) and the Chief Executive of Sroda District Council (who own the line) favour turning the bulk of the 14 km railway into a cycle path. 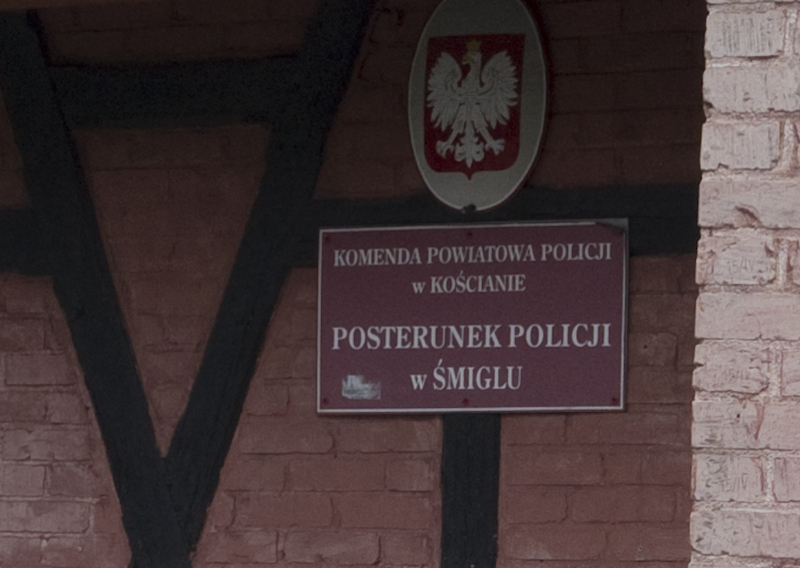 and keeping just a stub of the line at Sroda as part of a ‘Wild West’ theme park. 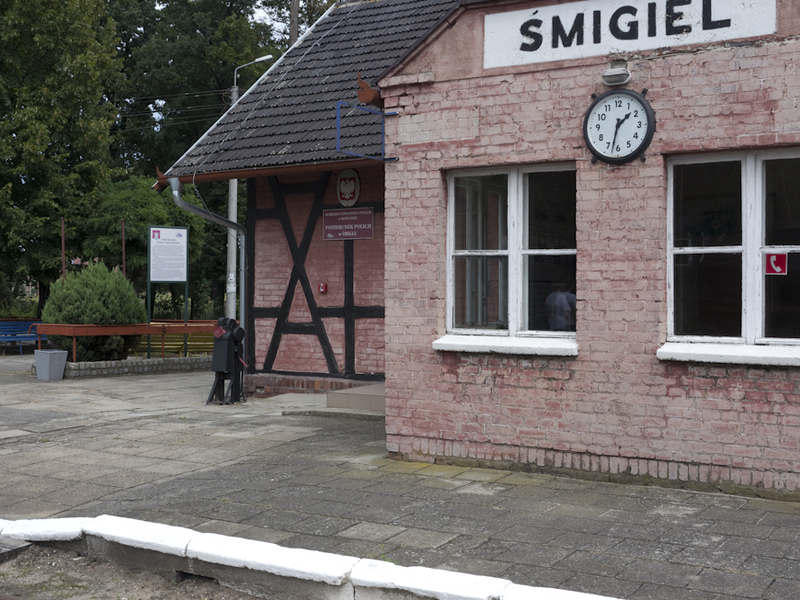 The Smigiel Narrow Gauge Railway has cancelled the trains planned for August. No explanation appears on the railway’s website. 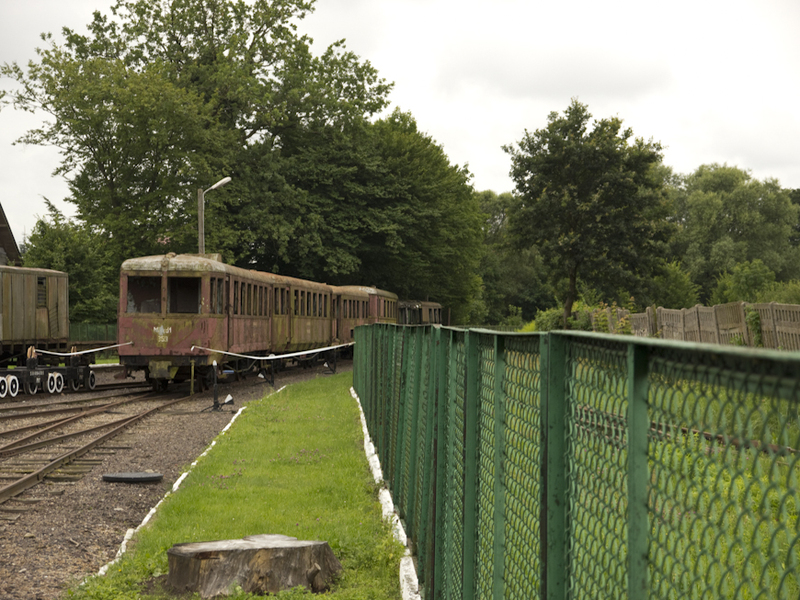 Apparently during a recent meeting, the deputy Mayor of Smigiel announced that the Town Council have ‘no interest’ in developing the line as a tourist attraction. 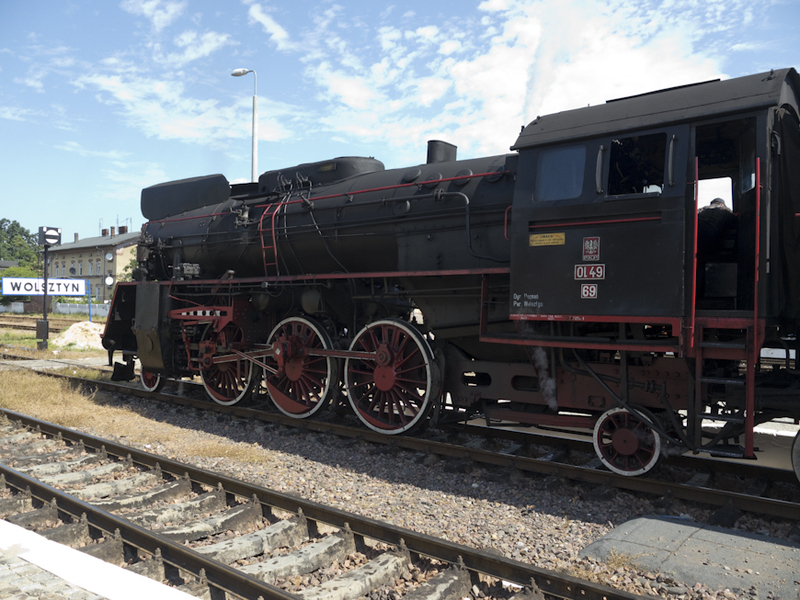 The team of bankers that have been injected into PKP SA and its daughter companies have vetoed the plan to move the heavy maintenance of Wolsztyn-based steam locomotives to Chabowka. Meanwhile Leszno overhauled Ol49-69 (the boilerwork was done at Interlok in Pila) is acquiring a good reputation amongst Wolsztyn drivers for its powerful and reliable performance. Many thanks to BTWT’s dedicated team of informers who keep their ears to the ground! There is a city. Video by thereisacity. The City of Ruins. Film by Platige Image and Warsaw Uprising Museum.